We’d love your help. Let us know what’s wrong with this preview of Pragmatyczny programista. Od czeladnika do mistrza by Andrew Hunt. Programmers are craftspeople trained to use a certain set of tools (editors, object managers, version trackers) to generate a certain kind of product (programs) that will operate in some environment (operating systems on hardware assemblies). Like any other craft, computer programming has spawned a body of wisdom, most of which isn't taught at universities or in certificat Programmers are craftspeople trained to use a certain set of tools (editors, object managers, version trackers) to generate a certain kind of product (programs) that will operate in some environment (operating systems on hardware assemblies). Like any other craft, computer programming has spawned a body of wisdom, most of which isn't taught at universities or in certification classes. Most programmers arrive at the so-called tricks of the trade over time, through independent experimentation. In The Pragmatic Programmer, Andrew Hunt and David Thomas codify many of the truths they've discovered during their respective careers as designers of software and writers of code. To ask other readers questions about Pragmatyczny programista. Od czeladnika do mistrza, please sign up. I don't know if this book doesn't get a solid 5 star in programming what might get that? Vatsal Ambastha It's a great book, hands down. I rate it 5/5. Having said that, it is not a very advanced book. Much of what it speaks would have become a part of…moreIt's a great book, hands down. I rate it 5/5. Having said that, it is not a very advanced book. Much of what it speaks would have become a part of ones' programming common sense if they have been writing code for 5 years or so. But it still does a good job of strengthening the readers beliefs formed by experience. I found myself thinking often "Yeah I knew this, but they really stress on the importance, so it must be important"
How much programming experience should one have before they read this book? I started reading it and it feels a little advance for me. This is essentially a self-help guide for programmers, the kind of book that enumerates the habits of Good and Happy People and makes you feel slightly guilty about not practicing most of them, but probably won't result in you forsaking your evil ways and stepping on the path toward Nirvana. Hunt and Thomas are friendly but occasionally annoying gurus. Their cloying metaphors (boiled frogs, etc) and kitsch jokes are offputting, and some of their advice borders on insult. One assumes that when th This is essentially a self-help guide for programmers, the kind of book that enumerates the habits of Good and Happy People and makes you feel slightly guilty about not practicing most of them, but probably won't result in you forsaking your evil ways and stepping on the path toward Nirvana. Hunt and Thomas are friendly but occasionally annoying gurus. Their cloying metaphors (boiled frogs, etc) and kitsch jokes are offputting, and some of their advice borders on insult. One assumes that when they devote a whole section to interpersonal communication that they are targetting the particularly closeted and uncouth breed of computer geek recently emerged from the dark and brutish cave of high school, struggling to make headway in a world full of messy, inconsistent, emotional people who don't even know how to reverse grep an Apache log. I no longer have any need for mentors or friends now that I have AVClub (the AVQ&A and "Gateways to Geekery" columns in particular), Quora, and Stack Overflow. Case in point: That I found this book. Over the past couple of years I have been gradually writing and less-gradually maintaining a code base for separate projects. It's getting the point where I might as well figure out what the hell I'm doing. So I go to Stack Overflow and find my way to a question like "What programming book do you I no longer have any need for mentors or friends now that I have AVClub (the AVQ&A and "Gateways to Geekery" columns in particular), Quora, and Stack Overflow. Case in point: That I found this book. Over the past couple of years I have been gradually writing and less-gradually maintaining a code base for separate projects. It's getting the point where I might as well figure out what the hell I'm doing. So I go to Stack Overflow and find my way to a question like "What programming book do you wish you had read early in your career?" This book is the top answer. The think I like about this book is that it is very high level and it makes a lot of sense. They make their point and move on. But that doesn't mean they aren't touching on some key issues in knowing what they hell you are doing. When I found myself thinking, "yeah yeah," that's when I knew I needed to slow down and pay attention. Unlike most books on coding, this one has aged/will age very well. 2. Automate everything possible. If you are following (1), you will wind up doing (2) out of necessity. 3. Keep everything, even the dinkiest script, under source control. With tools like Dropbox that have a "packrat" option, this is easier than ever. But a formal source control system is preferable. With these three principles you can pretty much bootstrap yourself to any level of competency. Now I look at the regular manual tasks that I perform (and others perform) with utter disdain. And I understand why Doc Brown automated feeding his dog in Back To The Future. It is the only way forward. I bought this book to read on a flight to NY. But I found it so motivating that a few chapters into the book I got out my laptop and started implementing the ideas that were popping in my head. Good stuff. While many complain about already knowing everything in the book, or that it's outdated, I believe they are quite missing the point. Perhaps this book didn't speak to you at the point you are at in developing your skills and crafts, but it might speak to someone else just beginning. Rating the book low for the reason it wasn't what you needed is rather disingenuous, as a rating should be a guide to the quality of the book overall. The information contained in this book is essential for software While many complain about already knowing everything in the book, or that it's outdated, I believe they are quite missing the point. Perhaps this book didn't speak to you at the point you are at in developing your skills and crafts, but it might speak to someone else just beginning. Rating the book low for the reason it wasn't what you needed is rather disingenuous, as a rating should be a guide to the quality of the book overall. The information contained in this book is essential for software developers who want to develop their skills and knowledge into a craft worthy of renown, to become masters of the field. It is essential for anyone working in a team or working solo. The book is dated in the specific examples it uses, as would any book become so dated. What is *not* dated are the principles, the tips, the stories, the **wisdom** of this book. As I was reading it, it felt all so familiar. Yes, most anyone who has been at the craft of software development will probably recognize much of this. I felt like the authors had been following me around during my consulting practice in the 90s as they pull from the same stories, lore and practice that I taught. Reading this book now, in 2012, I recognize all this and am grateful for the review. One may know a lot of practices, but having a refresher on the extent of what matters in software development helps. As I approach a new team, a new job, I am looking to convey a lot of these concepts to people who may have only been cursorily exposed to them, and develop the team into a high quality, high craftsmanship group. This book will aid in that quite a bit, I hope (although the Russian translation may be lacking). If you are just starting out, read this book. If you are in the midst of your career, read this book. This seems to be a favorite in the office, so before I participating in the recommending of this book to new hires, I figured I should check it out first. There is definitely some good stuff in here, but most won't be new for anyone who's been programming professionally for 2 or 3 years or more. I think most engineers' problems is that they don't do what they know is the right thing. For a total beginner, the concepts will be difficult to internalize. For a seasoned programmer (on a good team...), it will be little more than a general reinforcement. While it's hard to imagine the right time in one's career to read the The Pragmatic Programmer (probably, often), it's a classic. It's written at a high enough level that very little material is outdated. In fact, some of the arguments ring much truer now than they would have in 1999. Certainly not for experienced, skilled software developers. Considering myself at least experienced, I found most of the material in this book a rehash of methodologies and techniques I've used for more than a decade. Granted, there were a few gems here and there, but mostly I was bored because I didn't learn anything new. One has to respect that this book is from 1999, so in that perspective, it must have been quite ground-breaking. Had I read it in 1999, I wouldn't have kno Who is this book for? One has to respect that this book is from 1999, so in that perspective, it must have been quite ground-breaking. Had I read it in 1999, I wouldn't have known any of these things. The question is, though: would I have been able to use this book for anything back then? While I found myself agreeing with lots of advice given in the book, I also found that the reason I could agree with so much is that the advice is so vague that you can read your own interpretation into it. Perhaps you could view that as a strength of the contents. It attempts to plant a lot of seeds into the readers' minds, without ever being prescriptive or dogmatic. In that sense, it lives up to its titular pragmatism. Still, it leaves me with the feeling that if you don't already know how to work in this way, will you be able to learn it from the book? I don't think so. This is my favorite non-technical tech book. It explores good software development practices. In my opinion it is more than just a checklist of what you should do - it literally changed my approach to development with positive results. Others have mentionned that they already knew most of the things in this book, and practice these good habits in their development environments. I've worked in dozens of environments ranging from very successful experienced companies, to fly-by-night operations tha This is my favorite non-technical tech book. It explores good software development practices. In my opinion it is more than just a checklist of what you should do - it literally changed my approach to development with positive results. If you and your organization already does everything in this book, and you see it as a "ho-hum" read, congratulations to you. For the rest of us, I think this is chocked full of high-level abstract concepts that will improve any development environment. It's communicated in a very straight-forward manner, and also advises you to take a pragmatic approach to everything - only using the things that make sense in your situation. Эту книгу нужно ОБЯЗАТЕЛЬНО прочитать КАЖДОМУ студенту, который учится на специальностях, связанных с ИТ. Причём лучше прочитать уже на втором-третьем курсе, чтобы студенты не только знали языки программирования и алгоритмы, но и принципы разработки, чтобы они понимали, что значит «быть разработчиком». Книга состоит из небольших глав, сгруппированных в разделы, читается легко, авторы не «лезут в дебри», да и в целом книга небольшая, так что с учётом этих причн, я, опять же, в первую очередь реком Эту книгу нужно ОБЯЗАТЕЛЬНО прочитать КАЖДОМУ студенту, который учится на специальностях, связанных с ИТ. Причём лучше прочитать уже на втором-третьем курсе, чтобы студенты не только знали языки программирования и алгоритмы, но и принципы разработки, чтобы они понимали, что значит «быть разработчиком». Книга состоит из небольших глав, сгруппированных в разделы, читается легко, авторы не «лезут в дебри», да и в целом книга небольшая, так что с учётом этих причн, я, опять же, в первую очередь рекомендую эту книгу студентам. Следует учитывать, что книга (в оригинале) написана в 1999 или 2000 году, так что некоторые пункты потребуют пересмотра в плане средств и методи, но тем не менее, почти все они до сих пор актуальны. In fact, it's a good book... if you're just beginning to program. I've just read it late, so it contains nothing new to me. I can't imagine that there are software developers who don't know about practices described in this book. Besides, it's already outdated (RCS? Really?). As to Russian edition of this book, it's translated very badly, it's almost unreadable. Today is the age of pragmatic programmers not programmers. 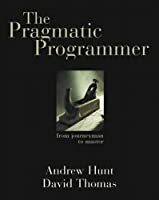 What it takes to turn a programmer into a pragmatic programmer is subtly described in this book. Although it is primarily intended to be read by programmers, what I found down the line was an invaluable set of insights for life alongside programming. It's not even an overestimation to say at some points the psychological side of this book takes precedence over its programming side. We're primarily programmers of our lives, so generalizin Today is the age of pragmatic programmers not programmers. What it takes to turn a programmer into a pragmatic programmer is subtly described in this book. Although it is primarily intended to be read by programmers, what I found down the line was an invaluable set of insights for life alongside programming. It's not even an overestimation to say at some points the psychological side of this book takes precedence over its programming side. We're primarily programmers of our lives, so generalizing correspondent terms to both life and programming is not surprising. Pragmatic programming stems from a philosophy of pragmatic thinking. 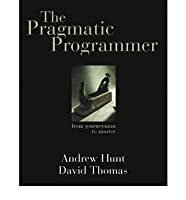 Setting the priority on the philosophy of pragmatic programming, the author sets the tone for an interesting voyage through the principles of pragmatic programming. Taking responsibility is the first steppingstone in this voyage. When you take a responsibility for performing a task and its outcome, you're held accountable for it. So take the responsibility. You can find valuable insights all over the book and it sounds impossible to share all of them in a single review. Then the book takes a pragmatic approach by defining a set of important terms like Duplication, Orthogonality, Reversibility and etc which are described in detail as steppingstones to set the big picture(the software) always strong. Programming by coincidence: The overconfidence generated under programming by coincidence spells a dangerous point. It's analogous to our own set of behaviors. There's an overconfidence generated under cognitive ease, which spells a danger point in our judgments, programming by coincidence also takes the same process. The remedy is in a consistent effort to understand the exact procedure and process of each part of code. deliberately, and carefully. Since you're setting up new structures, you have to consider refactoring a serious thing. There are also some valuable insights to take before the project and in pragmatic projects. Overall there is an analogy to draw among pragmatic teams and projects. I didn't like the structure of the book. Some of the concepts were vaguely presented. I was also bored a little bit while reading it. Start with s I didn't like the structure of the book. Some of the concepts were vaguely presented. I was also bored a little bit while reading it. Prototyping is a learning experience. Its value lies not in the code produced, but in the lessons learned. That's really the point of prototyping. The caller must not pass variables which violate the conditions (example: sending negative numbers to sort). It’s not the responsibility of the method itself. “Make sure you have tests first!" Why is this thing a problem? What is it that's making it so hard to solve? But how do you tell if you’re procrastinating or if it’s a good judgment to wait? Tip 62: Test Early. Test Often. Test Automatically. The beautiful thing about a book like The Pragmatic Programmer is that it sparks ideas when you read it. Can you do something more efficiently? Can you do it more elegantly? Can you make the computer do the work instead? I like to think that I already ask myself those questions all the time. Nevertheless, I found myself reading a page or two and then having to stop because I was having a great idea and needed to write it down. I filled six sheets of letter-size paper with dense, cryptic notes. Th The beautiful thing about a book like The Pragmatic Programmer is that it sparks ideas when you read it. Can you do something more efficiently? Can you do it more elegantly? Can you make the computer do the work instead? I like to think that I already ask myself those questions all the time. Nevertheless, I found myself reading a page or two and then having to stop because I was having a great idea and needed to write it down. I filled six sheets of letter-size paper with dense, cryptic notes. That's six pages of Great Ideas about software. Many of them had absolutely nothing to do with whatever I was reading in The Pragmatic Programmer at the time. The ideas bubbled up from the bottom of my brain like swamp gas. The experience was as effervescent as it sounds. And completely invigorating. I ended the day with a finished book, those six pages of notes, and a whole new enthusiasm for my software projects. I should read these non-language-specific programming books more often! I've loved the "broken windows" theory from the Software Entropy section in the first chapter since I read the excerpt online years ago. I've still never heard a better explanation of what happens when code quality and clarity starts to deteriorate. The message is clear: don't let problematic code sit and rot. It's not going to get better on its own. I love the emphasis on DRY ("Don't Repeat Yourself") and the use of simple, elegant tools like domain-specific languages and plain text. Another real stand-out for me was the Tracer Bullets concept from the second chapter. It's a wonderfully visual metaphor for building enough of a software system so that you can demonstrate its functionality completely from one end to the other (i.e. multiple pieces of a system all working together, but supporting a minimal number of features). What I love most about a tracer bullet system: you will probably end up with something you can demonstrate to non-programmers! In my experience, that's a huge benefit. There's a large amount of ground covered and nothing is covered in depth. Which is great. I appreciate the low page count and Hunt and Thomas supply examples to make each concept clear. It's an information-rich and idea-rich book. You could do a lot worse than to simply follow all of its avenues and master them. Much, much worse. This review has been hidden because it contains spoilers. To view it, click here. I enjoyed the pragmatic programmer. Still I found myself skipping sections, especially where I felt the subjects discussed I already had a good grip on. Other parts just felt dated, like the sections on source control and "modular code" in the age of distributed git, npm and microservices. I would definitely recommend this to programmers looking to up their game. The advice this book gives for you to become a better programmer is solid, and you'll find yourself agreeing with it. You should espec I enjoyed the pragmatic programmer. Re-read it recently, first time maybe 10-12 years ago. Some parts are still relevant today. I don't think I can gush enough about this book. It's the kind of thing I unconsciously resist reading because I know of all the guilty feelings it could provoke. Well, one thing I can tell you is that it's not like that at all. Oh actually, yes it is. The first chapter starts off gently reminding you that you should be constantly learning new things, for example, a new programming language every year (not necessarily because you want to have mastery of that language, but because it's good to ke I don't think I can gush enough about this book. It's the kind of thing I unconsciously resist reading because I know of all the guilty feelings it could provoke. Well, one thing I can tell you is that it's not like that at all. Oh actually, yes it is. The first chapter starts off gently reminding you that you should be constantly learning new things, for example, a new programming language every year (not necessarily because you want to have mastery of that language, but because it's good to keep your brain flexible, and keep looking at things at a new angle). And yes, there is a chapter near the end, about ruthless, aggressive testing, seeking out new and exciting ways to break your code. But I think that's all the guilt there is. If you can stomach those two things, the rest of the book is packed with, plain English, fad-free, common sense (and not so common sense) advice that you can actually apply. You get a survey of all these cool technologies (again, nothing fad-like) that you could maybe give a spin to or that you've heard off but never got over the inertia to try out (although one wonders how many false problems would just go away if you would just use a purely functional programming language). But the book isn't really about technology, is it? It's about craft and attitude. That's the thing that makes the book so gush worthy. You read the thing and you realise "oh, so this is how grown-ups hack". I wonder how much of this will actually sink in and affect my daily life as a programmer, though. Will I be that extra fraction more rigorous in my approach? Will I maybe be a little bit more aggressive, a little bit more disciplined, a little bit more humble? [And that's the wonderful thing about this book, it never exhorts the reader to be aggressive, disciplined and humble; it just is these things and its very being rubs off on you:]. What an interesting book! Definitely a worthy read and for sure a book I will revisit in the future - mostly because I filled it with post-it notes. Does this book provide some ground-breaking ezotheric knowledge regarding software development? 100% no. It's a very... pragmatic book, oozing with arguments in favor of common sense practices which should be used in all projects, no matter the scale or purpose. It can also be quite funny at times. Some chapters are a bit stale - chapter 3 "The Basic What an interesting book! Definitely a worthy read and for sure a book I will revisit in the future - mostly because I filled it with post-it notes. It's a very... pragmatic book, oozing with arguments in favor of common sense practices which should be used in all projects, no matter the scale or purpose. It can also be quite funny at times. Some chapters are a bit stale - chapter 3 "The Basic Tools" and chapter 6 "While you are coding" were my least favorite and the main reason I haven't rated the book 5 stars. The first 2 chapters were really enjoyable and the last one "Before the project" is amazing. In an abstract sense, an application is successful if it correctly implements its specifications. Unfortunately, this pays only abstract bills. This is probably my favorite book about technology. Full of great and timeless advice for anyone working on the field; written by one of my biggest inspirations in programming, master Dave Thomas. It's more philosophical than technical which makes it a nice and easy read. The book is not written in linear way so whenever you need inspiration, you can just open it in a random page and get charged up. Reason why I have a hard copy with me. I've read it twice already and I will probably read it again. This is probably my favorite book about technology. Full of great and timeless advice for anyone working on the field; written by one of my biggest inspirations in programming, master Dave Thomas. A great non technical book that goes into codifying the good practices about software development. It is a must read for neophytes in software industry with a couple of years of experience. If you have worked or are working in a good team and good project, you can easily relate back and forth about the goof things that are talked about. It is simple to read, still relevant in 2016 and is worth investing couple of weeks to read this if you are aspiring to be a pragmatic programmer. Great thing explained in the most pragmatic way possible. Due to its usage of metaphors, easy-to-read language, it read like a breeze. I might have forgotten some of the great stuff in it, might actually reread it soon. Not great. This book aged really weirdly and it explains itself when you realize theres a bullet pointed list in the back that they probably just created fluff around. There are a whole bunch of stand out weird suggestions the book has, but I think my major problem with it is that it rambles back and forth into light level technical things and sort of wastes time there. That and the section about how source control is good. And that weird section on how oh my god u just gotta know all the keyboar Not great. This book aged really weirdly and it explains itself when you realize theres a bullet pointed list in the back that they probably just created fluff around. There are a whole bunch of stand out weird suggestions the book has, but I think my major problem with it is that it rambles back and forth into light level technical things and sort of wastes time there. That and the section about how source control is good. And that weird section on how oh my god u just gotta know all the keyboard shortcuts for your text editor or you're wasting your life and aren't effective at all. This is a good first read for fresh grads coming into the industry. The book touches many important topics in the realm of software development. A non-exhaustive list would include: how to behave professionally; how to write good code; find and use the right tools; how to work with others; and last but not least, how to manage software development projects. As you may have guessed, this amount of subjects can not be covered in depth in a 300 pages book. As a result, the book can only provide an o This is a good first read for fresh grads coming into the industry. The book touches many important topics in the realm of software development. A non-exhaustive list would include: how to behave professionally; how to write good code; find and use the right tools; how to work with others; and last but not least, how to manage software development projects. As you may have guessed, this amount of subjects can not be covered in depth in a 300 pages book. As a result, the book can only provide an overview of what it means to be a professional software developer, but does not necessarily give you a clear path on how to get there. That would require a lot of learning, practices and experience. So, please don't expect to become a "master" after reading this book. Dated but still useful; many ideas continue to apply today. Kláraði ekki. Skil ekki hæpið við þessa bók. Að stærstum hluta augljós sannindi. Ráðin eru of sértæk til að skilja eitthvað eftir sig, en samt of almenn til að nota í raunverulegu verkefni. A very insightful read. I look at my projects differently after reading this. It doesn't focus on a particular language, but rather teaches principles. I wish I had read this earlier. There's something about the book format that makes it flow slowly. But even today, everything is here: hard earned wisdom layed out clearly.